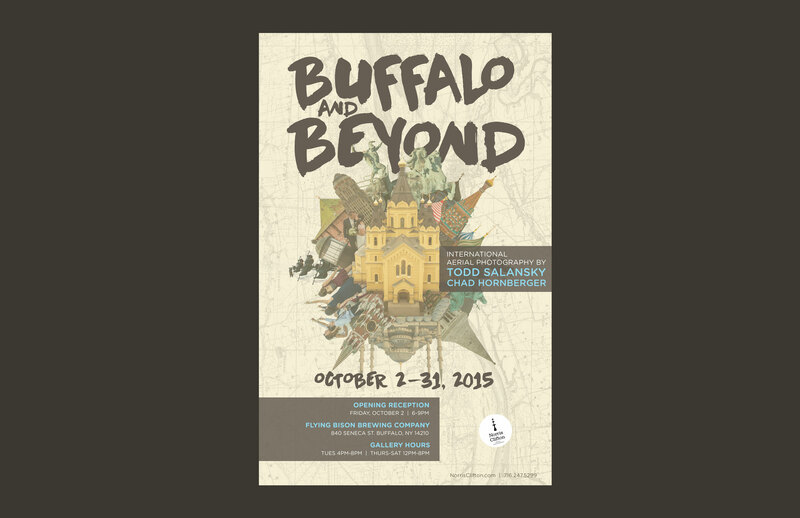 In 2015, I was asked by Norris Clifton Aerial Photography to create a stylized poster and sizzle reel for their exhibition titled "Buffalo and Beyond". The show featured several digital prints of photos taken internationally with custom aerial drones. The idea for the concept came to mind while flipping through the images and reimagining the cycle of adventures from around the world. As a way to depict a sense of movement and rotation, multiple images from the exhibition were placed into a striking roulette pattern.